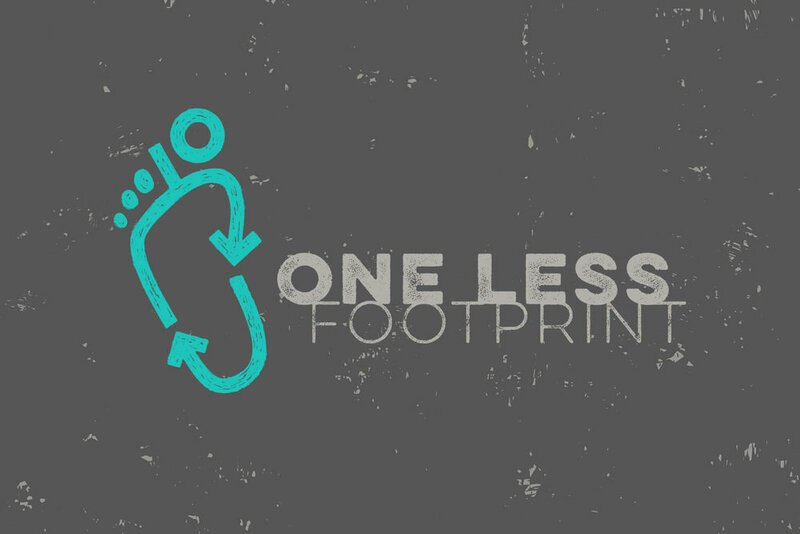 One Less Footprint (website coming soon) is a new social enterprise whose whole ethos is around the idea of sustainability and using less. The idea is to offer desirable design-led products which are made from 100% recycled materials, and are also recyclable. At least 10% of all profits will go towards promoting positive change... whether that’s through education, supporting organisations such as Waste Aid or pioneering new recycling techniques. 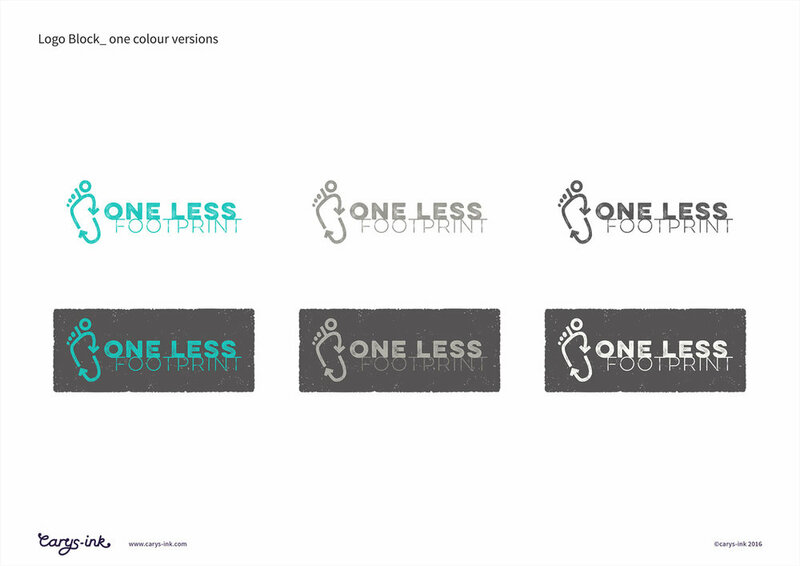 To develop a strong brand identity for the new venture, and also an illustration to feature on the first ‘OneLess’ T-shirt. The challenge was to create an identity which summed up the idea of recycling and re-use without feeling too worthy. The target audience potentially has quite a wide age range, but are united by an attitude - a love of the environment and a sense of responsibility to make the right choices in life, that minimises impact on our planet. Given the brand name, it made absolute sense for a footprint to featured in the logo. I tried (& hopefully succeeded) to do this in such a way that it didn't feel ‘naff’. Pictured below are a few pages from the brand delivery guide supplied to the client with delivery of final artwork. The brief for the illustration was to encapsulate the thought of 'one less', and to show the beauty of the world, trees, oceans etc. Through discussions with the client, an idea of plastics being extracted from the sea and processed ready for re-use was developed in a simple line style. What was your reason for approaching Carys…was there anything particular you hoped she would bring in creating the brand identity? I chose Carys because I admire her work as an illustrator and designer. I believe in the power of creativity to get your message across. People don’t like to be lectured but powerful messages can be conveyed more creatively. And are you happy with the end results? Yes – everyone loves the logo and the footprint mark. And the illustration too. How did you find the process… from the initial briefing through to the completion of your project? Well the process was a little more complicated with what I’m trying to change as we started before there was even a product on the table. Carys was understanding of that and has consistently worked to get it right despite the atypical brief. She has also challenged me and given me food for thought to evolve my thinking in a positive direction, which I have particularly valued. Also – it’s been good to work more collaboratively and be involved right from sketch stage to more polish. That has helped save time and helped hone the output in a more efficient way. And finally, if you had to describe Carys to someone else starting up a new business, what would you say? Carys is passionate about ethical and sustainable businesses. She delivers to an excellent standard and creates compelling designs that you’ll love... and she won’t let you down!